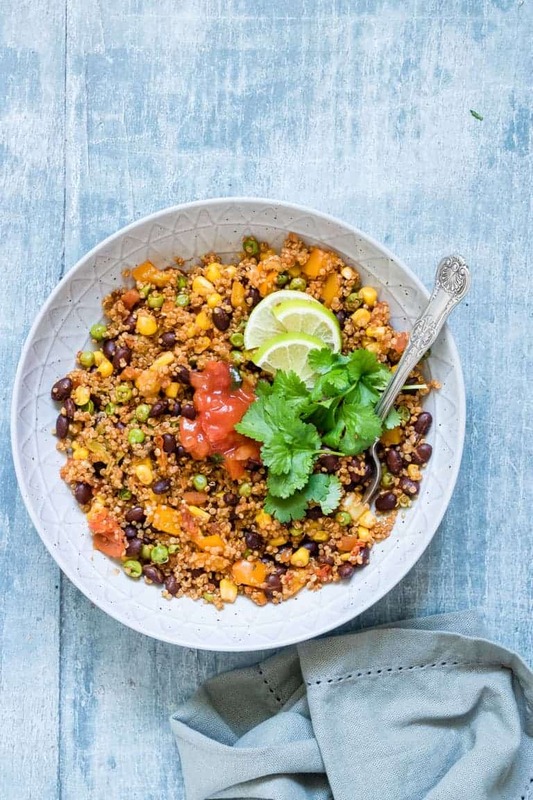 Dump and Start Instant Pot Mexican Quinoa tastes like you spent hours cooking, when it actually requires almost no effort at all! 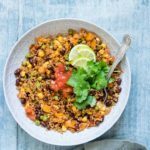 You will love how healthy, versatile and affordable it is to make flavourful Mexican Quinoa in the Instant Pot. Suitable for Vegan and Gluten Free diets. Post includes Weight Watchers points. Want to know my two favourite words in the English language? Instant Pot. And can you guess what my next two favourites might be? Dump and Start. So when I come across a recipe that includes all four of these magical words, I know it’s going to be a winner. I’ve been making my quinoa in the Instant Pot for quite some time now, as it turns out perfect every single time. And since quinoa is a such great source of protein and naturally gluten free, it is a true staple in my household. These awesome measuring jugs or cups. Try my favorite spice kit for different flavours on your recipes. 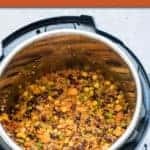 So, are you ready to learn just how easy it is to make Dump and Start Instant Pot Mexican Quinoa? Then gather up your ingredients and I’ll show you…..
Add water to the bottom of the Instant Pot Insert. In a bowl, combine ingredients, from quinoa through the best ever salt, and then mix well. Add the mixture to the Instant Pot insert. Top the mixture with salsa. Place the lid on the Instant Pot and lock. Turn the valve to the sealing position (not venting) and select pressure cook / manual. Set the cook time for 1 min. Once done, allow for a full natural pressure release. Remove from the Instant Pot and serve with the suggested toppings. Place 2 cups of water in a pot on the stovetop. 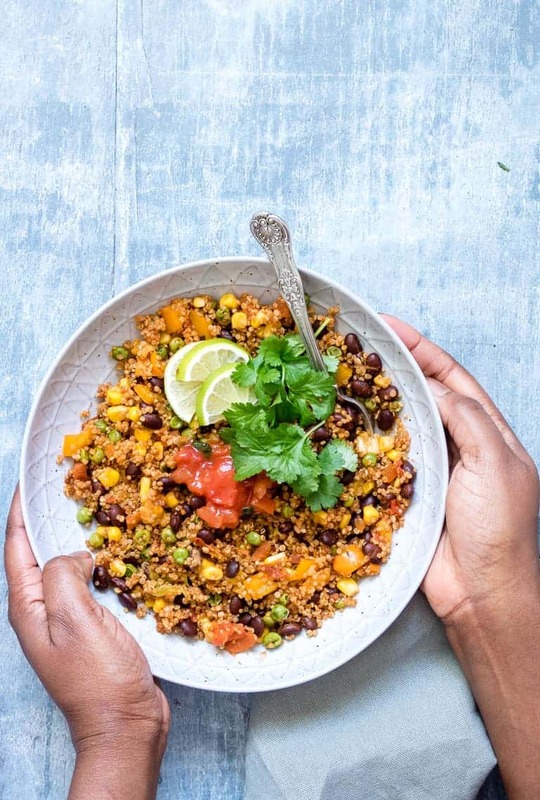 Combine all ingredients, from quinoa through salsa, in a bowl and mix well. Add mixture to the pot. Bring to a boil and then reduce to a simmer. Cover the pot and let cook for 15-18 mins. Switch off the heat, open the lid and fluff the quinoa mixture. Place lid back on the pot let it stand for approx. 10 mins. Remove from the pot and serve with the suggested toppings. Do remember to soak and drain your quinoa at least 30 mins before cooking. If you think the quinoa is not drained well, you can reduce the amount of water in the recipe by 1-2 tbsp. For those that prefer your quinoa grains to be less separated, then add a bit more water to the Instant Pot. Making this for the kids? Then feel free to omit the chipotle pepper. You can easily adapt this recipe to suit your taste. For example, use stock instead of water. Or add the chopped cilantro in before cooking. 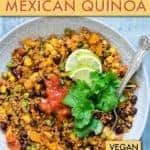 Can I Make Instant Pot Mexican Quinoa with Frozen Veggies? No, using frozen veggies will add too much extra water to the Instant Pot. You will need to defrost your peas before adding them to the mixture. To quickly defrost, simply dump them in lukewarm water for a minute then drain well. Easy Peasy (pun intended)! To avoid the dreaded Instant Pot Burn Message, make sure that you “layer” the ingredients inside the insert. The single most important thing to remember is to always start by adding water to the bottom of the pressure cooker insert first. Then you can ‘dump’ in the quinoa mixture, and add the salsa to the top (tomato products are notorious for causing the burn notice to appear, so you want to always add them in last). 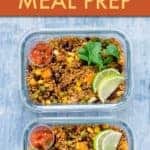 This pressure cooker Mexican quinoa recipe is an ideal meal prep solution. Not only is it easy to make it’s quite economical, and perhaps the very best part: it is soooo versatile. Serve it as a main course, a side, or as an ingredient, you can transform into an entirely new dish. 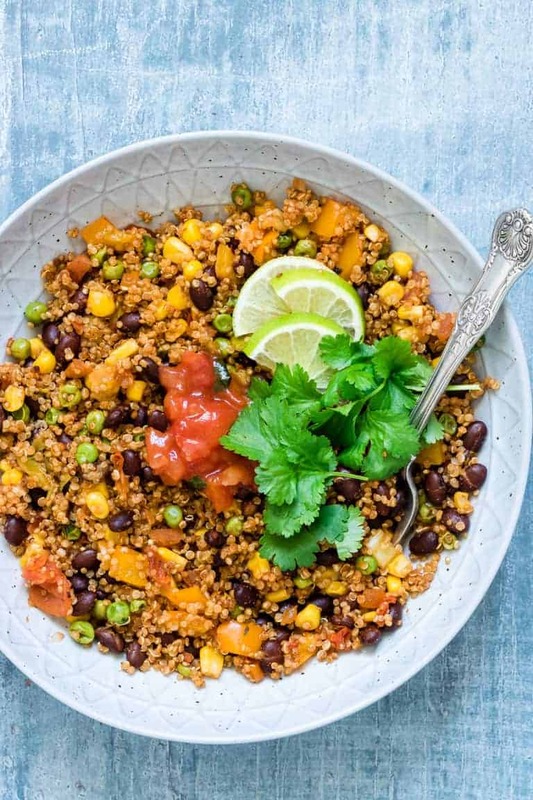 This Dump and Start Instant Pot Mexican Quinoa recipe really is a make-ahead MVP. Roll it up in these handmade tortillas to make delicious Vegan Quinoa Burritos. 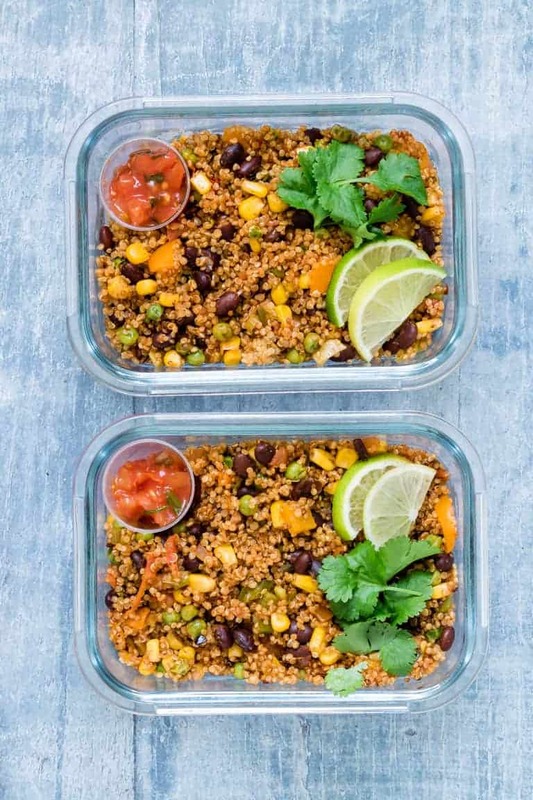 Add quinoa and salad green to glass containers and you have easy grab-and-go Mexican Quinoa Bowls. Pile on top of chips along with this Instant Pot Shredded Chicken and top with cheese to make a hearty helping of Mexican Quinoa Nachos. For a hearty and satisfying vegan meal, serve Instant Pot Mexican Quinoa with these flavourful Air Fryer Chickpea Tacos. Sooooo good! Or a cup of zesty Instant Pot Chicken Tortilla Soup. 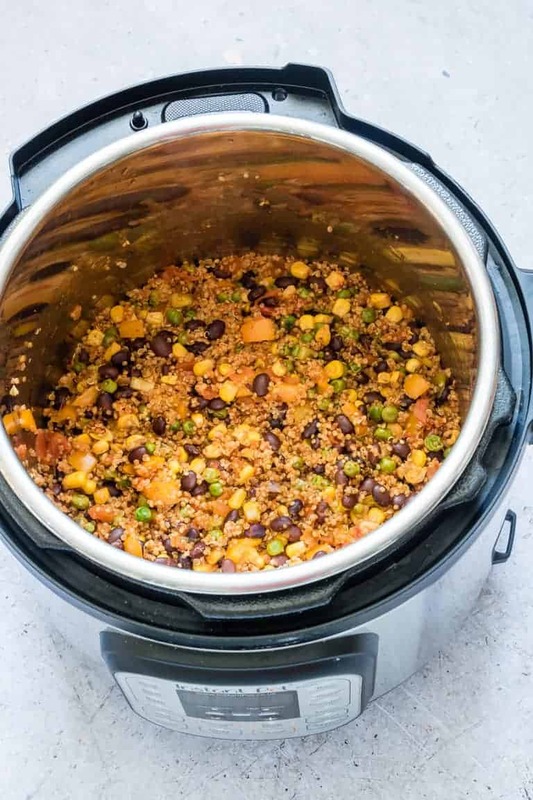 There are 3 Freestyle Points in a serving of this Pressure Cooker Mexican Quinoa. 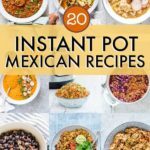 Thank you for reading my Instant Pot Mexican Quinoa recipe post. And please come visit again as I continue dreaming up recipes, traditional African recipes, African fusion recipes, Sierra Leone recipes, travel plans and much more for you. Thanks for supporting Recipes from a Pantry, UK food blog. Don't forget to tag #recipesfromapantry on Instagram or Twitter if you try Dump and Start Instant Pot Mexican Quinoa! It is really, really awesome for me when you make one of my recipes and I'd love to see it. You can also share it on my Facebook page. Please pin this recipe to Pinterest too! Thank you for reading Recipes from a Pantry. 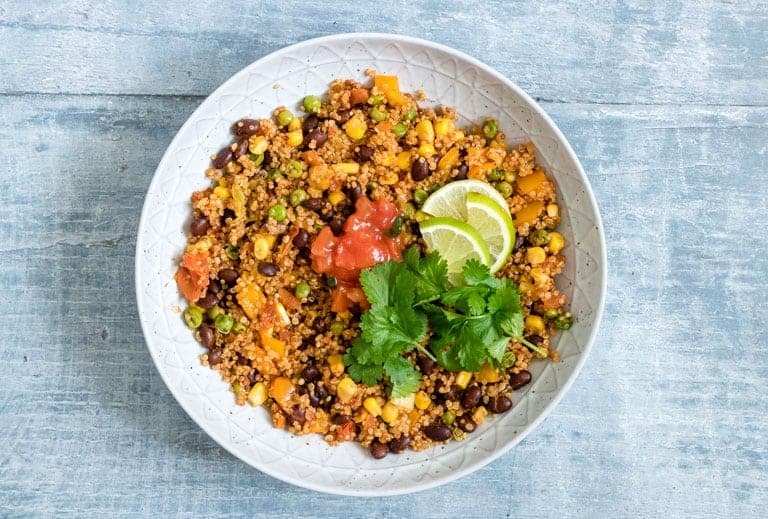 Dump and Start Instant Pot Mexican Quinoa is super flavourful, healthy, and versatile. In a bowl, combine ingredients, from quinoa through chipotle, and then mix well. Place the lid on the Instant Pot and lock. Turn the valve to the sealing position (not venting) and select pressure cook / manual for 1 min. Once done, allow for a full natural pressure release. Then remove from the Instant Pot and serve with the suggested toppings. 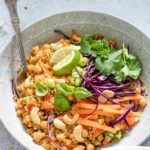 If you prefer your quinoa grains to be less separated, then add a bit more water to the Instant Pot. If making this for the kiddoes, feel free to omit the chipotle pepper. And if not vegan, pair it with my Instant Pot Chicken Tacos, or a cup of zesty Instant Pot Chicken Tortilla Soup. One serving contains 3 Freestyle Points. What an easy recipe that I can’t wait to make into nachos for the game this afternoon. 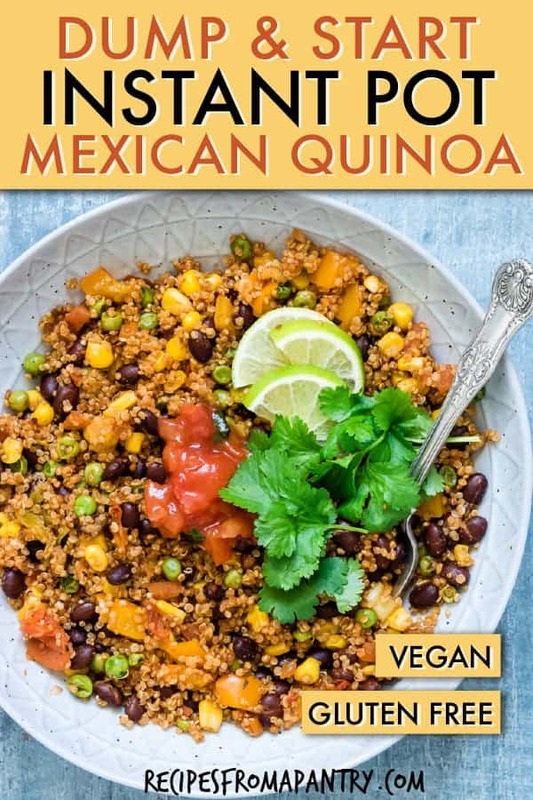 This Mexican flavored quinoa would also go great as a topping for tacos or fajitas or as a side with chicken. Can’t wait to give it a try in my Instant Pot. And yes, it’s my favorite 2 words too! I’ve been looking for some flavorful vegetarian recipies. This one is definately one I’ll try! 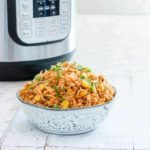 I love Instant Pot recipes and this one looks hearty and delicious. Will definitely be adding this to the rotation. OK, now I have no excuse for not eating more quinoa! I love dump and go IP recipes on busy weeknights. I always love how informative your posts are! And what’s not to love about a simple but delicious recipe you just “dump” in the Instant Pot? That meal prep looks so delicious. How big is a serving? 1/2 a cup or a cup?